Since I could walk, my dad had me wrenching and driving/racing all sorts of cars. I now own my youthful dream car. 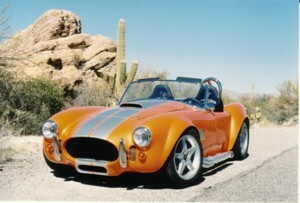 My 1964 Cobra is about as cool as it gets within the grasp of a mere mortal. That does not stop the lust that I have for certain cars. Most of which are not the current crop of sub-million dollar super cars, but racers that created a change in the state of racing forever. There are lots of articles about the best and worst of this that or the other thing. I spotted this article in Jalopnik. 10 Best American Race Cars I sent it to my friend Ken who races a Corvette, because the Corvette C5R made it on the list. This started some email discussion as well because we both agreed that the Chaparral 2E was by far the best American race car ever built. This email exchange caused me to seek out some old pictures from my archives. This is a picture I shot many years ago and is a historic shot for many reasons. 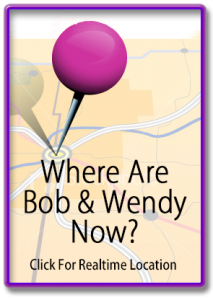 As the story goes, Wendy and I were passing through Midland Texas and I had heard that the Jim Hall Chaparral wing of the Petroleum Industry Museum was about to open. So we stopped by and found out it was a few weeks before it was going to open. I told my story of racing on some tracks where the CanAm racers like the Chaparral’s, Porsche 917’s and Lola’s raced. 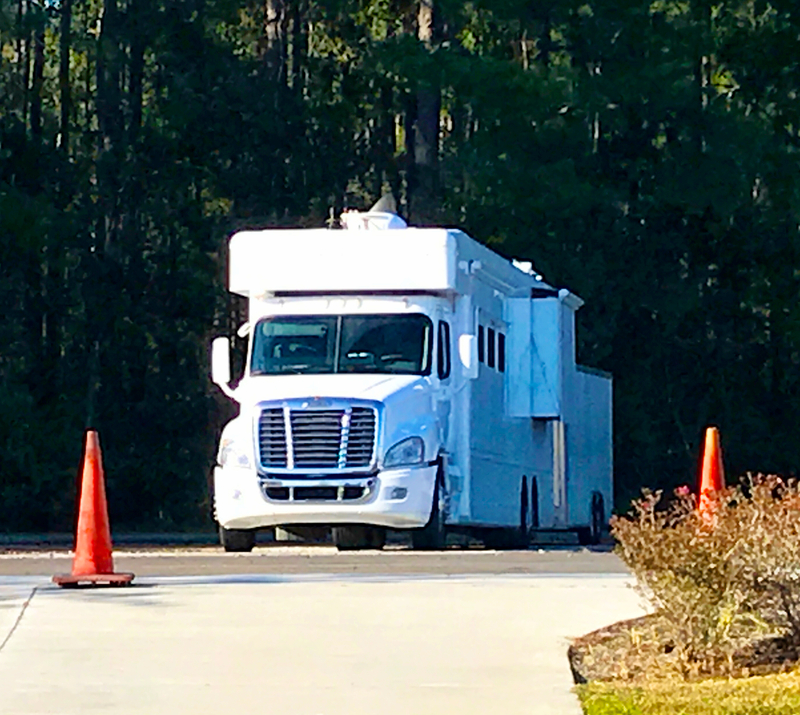 The story telling continued until the curator received a phone call that the Chaparral’s were about to be moved from Jim Hall’s garage onto a truck for delivery to the Petroleum Museum. The voice on the other side asked if the curator would like to have a picture of them before they were moved. She said, I wish our photographer was here so we can get the picture, but he is out of town. 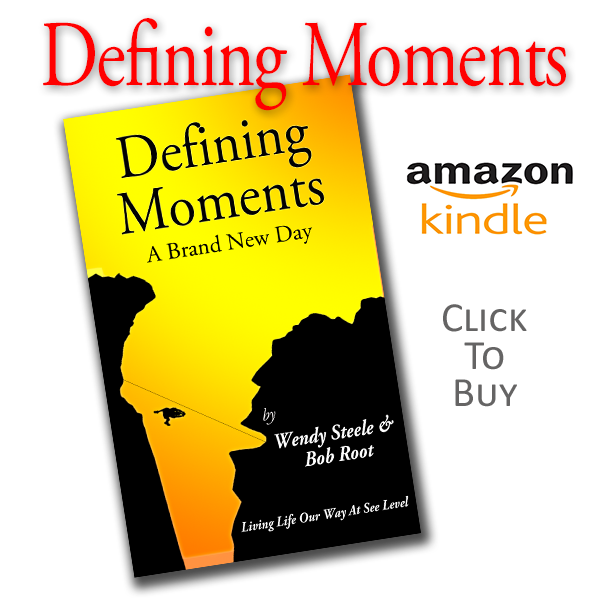 I blurted out, “I am a photographer and I am happy to snap some shots. She said okay, so we jumped into her truck and headed to Rattlesnake Raceway and Jim Hall’s garage. When we arrived, it was emotionally magical. We walk through this small doorway into a very small building and to my surprise, all the cars were crammed into this single room like sardines perfectly packed into a can. It was so tight that the shot was actually three shots that were stitched together in Photoshop. So, here is my historical shot taken just moments before the cars were unloaded. From left to right front row is the green formula car driven by Jim Hall’s wife. No significance to the Chaparral cars. Next with the nose and wing off is the Chaparral 2E. By far the sexiest of the bunch and incredibly fast. To its right is the Chapparal 2J which used ground effects. Make sure you read the description of the 2J below as it was both revolutionary and controversial. Next to it is Jim Hall’s modified Chapparal 1. Originally a front engine, the car was modified to a rear/mid engine. Back left to right is the Chapparal 2 C. It had spoilers and air dams similar to the race cars of today, but was their innovation in the 60’s. 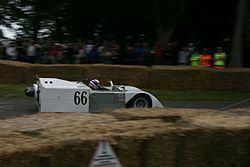 Next to it is the Chaparral 2D driven at LeMans and other european FIA competitions. Next to it is the Chaparral 2F which was the closed roof coupe version of the 2E with its wing on. These wings were controlled by a foot pedal that tilted them downward to corner offering more down force. 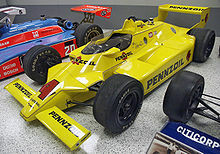 Next to it is the Chaparral 2K which Johnny Rutherford drove to win the Indianapolis 500. In another building was the space age Chaparral 2H. Still trying to track down other images shot that day and will add them as I stumble on them. In 1957, Jim Hall raced the front-engined Chaparral (retroactively called the “Chaparral 1”) through 1962, bought from Troutman & Barnes (like the Scarab, the Chaparral 1 cars were built in California by Troutman & Barnes). Hall and Hap Sharp extensively modified their Chaparral, and eventually decided to build their own car. They obtained permission from Trouman & Barnes to use the Chaparral name, which is why all of Hall’s cars are called Chaparral 2s. The first Chaparral 2-Series was designed and built to compete in the United States Road Racing Championship and other sports car races of the time, particularly the West Coast pro Series races that were held each fall. Hall had significant “under the table” assistance from GM, including engineering and technical support in the development of the car and its automatic transmission (this is evidenced by the similarity between the Chevy Corvette GS-II “research and development” car and the Chaparral 2A through 2C models). First raced in late 1963, the Chaparral 2 developed into a dominant car in the CanAm series in 1966 and 1967. Designed for the 200 mile races of the CanAm series, it was also a winner in longer endurance races. In 1965 it shocked the sportscar world by winning the 12 Hours of Sebring in a pouring rain storm, on one of the roughest tracks in North America. 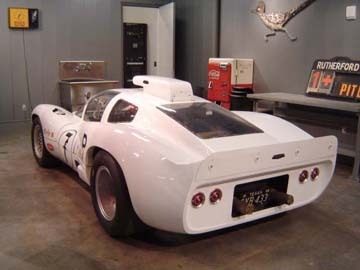 The Chaparral 2 featured the innovative use of fiberglass as a chassis material. The Chaparral 2C had a conventional aluminum chassis. 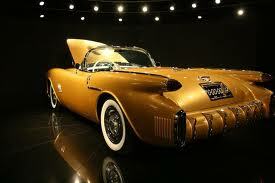 It is very difficult to identify all iterations of the car as new ideas were being tested continually. The 2A is the car as originally raced, featuring a very conventional sharp edge to cut through the air. It also featured a concave tail reminiscent of the theories of Dr. Wunibald Kamm. The first aerodynamic appendages began to appear on the 2A almost immediately to cure an issue with the front end being very light at speed with a consequent impact on steering accuracy and driver confidence. As the car evolved, it grew and changed shape. Most call these the 2B, as raced through the end of 1965. The 2C is the next car with the innovative in-car adjustable rear wing. The integrated spoiler/wing was designed to lie flat for low drag on the straights and tip up under braking through the corners. This was a direct benefit of the clutchless semi-automatic transmission which kept the driver’s left foot free to operate the wing mechanism. The 2C was based on a Chevrolet designed aluminum chassis and was a smaller car in every dimension than the 2B. Without the natural non-resonant damping of the fiberglass chassis, Jim Hall nicknamed it the EBJ — “Eye Ball Jiggler”. Alongside the development of aerodynamics was Hall’s development of race tires. Jim Hall owned Rattlesnake Raceway adjacent to his race shop; the proximity allowed him to participate in much of Firestone’s race tire development. 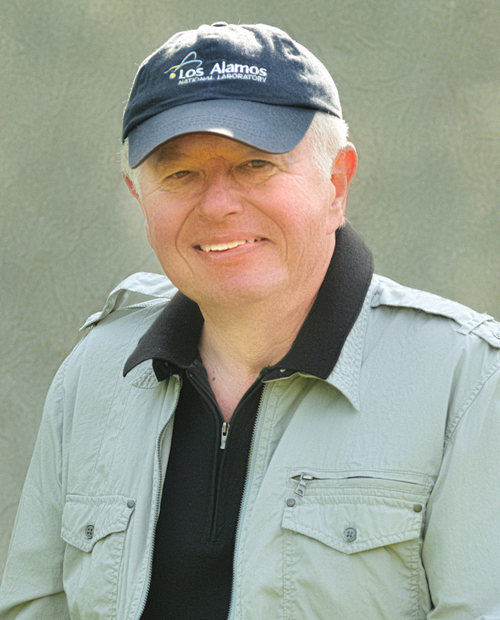 A two-article series in Car and Driver magazine featured Jim Hall’s design theories. 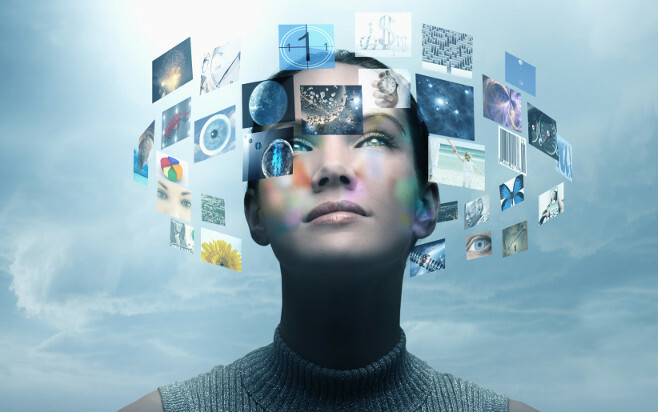 The article turns speculation about vehicle handling into applied physics. Hall’s theories were the precursor to the elaborate data collection and management of current racing teams. The 2D was the first closed cockpit variant of the 2 series, designed for endurance racing in 1966. It won at 1000 km Nürburgring in 1966 with Phil Hill and Joakim Bonnier driving. It also competed in the 1966 24 Hours of Le Mans, withdrawing after 111 laps. 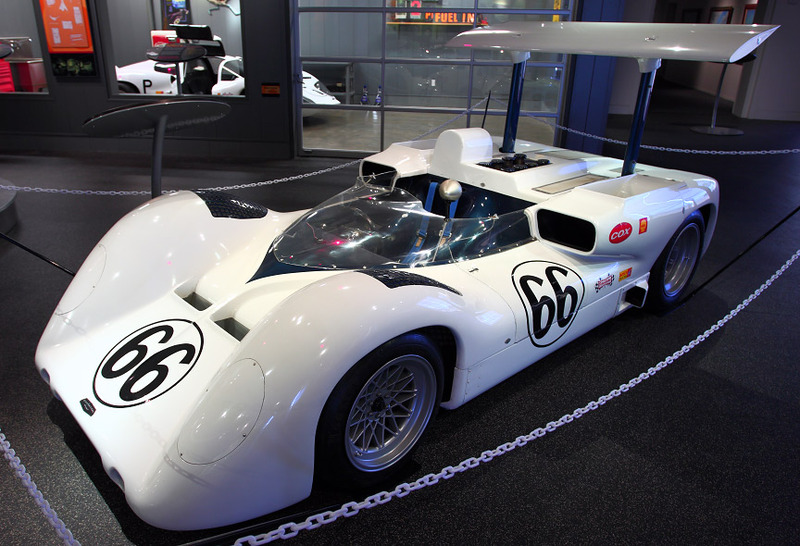 The Chaparral 2D was equipped with a 327 cubic inch displacement (5.3 liter) Aluminum Alloy Chevrolet engine producing 420 horsepower, and the car weighed only 924 kg. The 2E was based on the Chevrolet designed aluminum 2C chassis and presented Jim Hall’s most advanced aerodynamic theories to the racing world in the 1966. The 2E established the paradigm for virtually all racing cars built since. It was startling in appearance, with its radiators moved from the traditional location in the nose to two ducted pods on either side of the cockpit and a large wing mounted several feet above the rear of the car on struts. The wing was the opposite of an aircraft wing in that it generated down-force instead of lift and was attached directly to the rear suspension uprights, loading the tires for extra adhesion while cornering. A ducted nose channeled air from the front of the car up, creating extra down-force as well. By depressing a floor pedal that was in the position of a clutch pedal in other cars, Hall was able to feather, or flatten out, the negative angle of the wing when down-force was not needed, such as on a straight section of the track, to reduce drag and increase top speed. In addition, an interconnected air dam closed off the nose ducting for streamlining as well. When the pedal was released, the front ducting and wing returned to their full down-force position. Until they were banned many sports racing cars, as well as Formula One cars, had wings on tall struts, although many were not as well executed as Hall’s. The resulting accidents from their failures caused movable wings mounted on the suspension, as well as movable aerodynamic devices, to be outlawed. The 2E scored only one win at the 1966 Laguna Seca Raceway Can-Am with Phil Hill driving. Hall stuck to an aluminum 5.3 liter Chevrolet engine in his lightweight racer, while the other teams were using 6 to 7 liter iron engines, trading weight for power. The 2E was a crowd favorite and remains Jim Hall’s favorite car. In the 2F Hall applied the aerodynamic advances of the aluminum 2E to the older fiberglass chassis closed-cockpit 2D for the 1967 racing season. A movable wing mounted on struts loaded the rear suspension while an air dam kept the front end planted. The radiators were moved to positions next to the cockpit. An aluminum 7 liter rat motor replaced the 5.3 liter engine of the 2D. While always extremely fast, the extra power of the larger engine was too much for the automatic transmission to handle and it broke with regularity. After solving the transmission problems, the 2F scored its only win on 30 July 1967 in the BOAC 500 at Brands Hatch with Phil Hill and Mike Spence driving. After this race, the FIA changed its rules, outlawing not only the 2F, but also the Ford GT40 Mk.IV (winner at Le Mans that year) and the Ferrari 330 P3/4 and 365 P4 (winner at Daytona, 2nd at Le Mans). As with the 2D, the 2F raced wearing Texas license plates. The 1967 2G was a development of the 2E. It featured wider tires, and a 427 aluminum Chevrolet engine. While on par with his competitors in terms of power, the lightweight 2C chassis was stretched to the limit and it was only Hall’s driving skill that kept the car competitive. For the 1968 Can-Am series, still larger tires were added to increase grip. Jim Hall’s racing career was effectively ended in a severe crash at the Stardust Grand Prix Can-Am race when he rear ended the slow moving McLaren of Lothar Motschenbacher, although he did drive in the 1970 Trans-Am Series while fielding a team of Camaro Trans-Am cars. Never one to be complacent, Jim Hall noted that the increasing down-force also created enormous drag. Seeking a competitive edge, the 2H was built in 1969 as the replacement for the 2G to minimize drag, rather than maximize down-force. However, the anticipated gains in speed were more than offset by the reduced cornering speeds and the car was consistently slower than anticipated. A failure, it eventually was fitted with a huge wing. 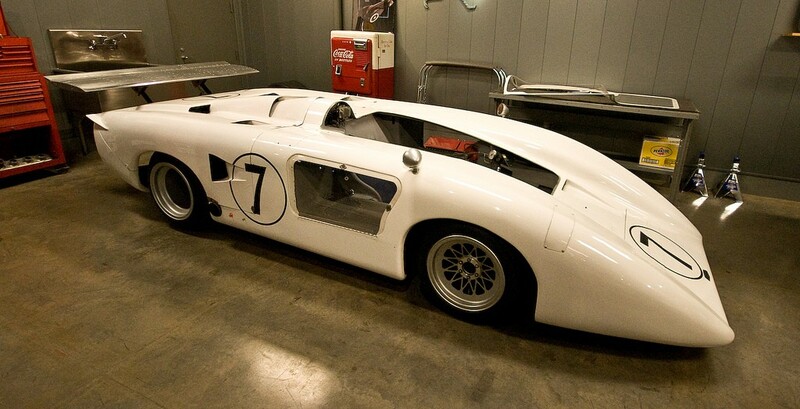 The most unusual Chaparral is the 2J. On the chassis’ sides bottom edges are articulated plastic skirts that seal against the ground (a technology that would later appear in Formula One). At the rear of the 2J are housed two fans (sourced from a military tank engine) driven by a single two stroke twin cylinder engine. The car had a “skirt” made of Lexan extending to the ground on both sides, laterally on the back of the car, and laterally from just aft of the front wheels. It was integrated with the suspension system so the bottom of the skirt would maintain a distance of one inch from the ground regardless of G forces or anomalies in the road surface, thereby providing a zone within which the fans could create a partial vacuum which would provide a downforce on the order of 1.25–1.50 G of the car fully loaded (fuel, oil, coolant). This gave the car tremendous gripping power and enabled greater maneuverability at all speeds. Since it created the same levels of low pressure under the car at all speeds, down-force did not decrease at lower speeds. With other aerodynamic devices, down-force decreases as the car slows down or achieves too much of a slip angle, both of which were not problems for the “sucker car”. The 2J competed in the Can-Am series and qualified at least 2 seconds quicker than the next fastest car, but was not a success as it was plagued with mechanical problems. It ran for only one racing season, in 1970, after which it was outlawed by the Sports Car Club of America (SCCA). Although originally approved by the SCCA, they succumbed to pressure from other teams, McLaren in particular, who argued that the fans constituted “movable aerodynamic devices”, outlawed by the international sanctioning body, the FIA, a rule first applied against the 2E’s adjustable wing. There were also complaints from other drivers saying that whenever they drove behind it the fans would throw stones at their cars. McLaren argued that if the 2J were not outlawed, it would likely kill the Can-Am series by totally dominating it — ironically, something McLaren had been doing since 1967. A similar suction fan was used in Formula One eight years later on the Brabham BT46B, which won the 1978 Swedish Grand Prix, but Brabham reverted to the non-fan BT46 soon afterwards due to complaints from other teams that the car violated the rules. The car was found to be within technical specifications allowing the victory to remain. The 2K was a Formula One-inspired ground effect Indy car designed by Briton John Barnard. Debuting in 1979 with driver Al Unser Sr., it went on to win six races in 27 starts over three seasons. 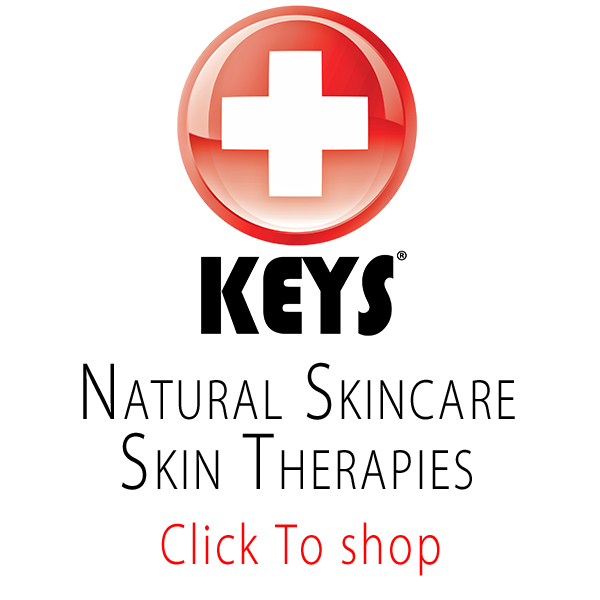 Its greatest success came in 1980, when Johnny Rutherfordwon both the Indy 500 and the CART championship. Interactive exhibits interpret the history of oil, its geology & the industry’s modern roots. As an important note, every month, all the cars are taken outside and started and run as a part of their upkeep. You can get on an email list at the museum to know when the cars will be run.